If you strategically plan your content marketing in Alaska, you don't just check "write blog post" off your calendar and move on to your next order of business. Because that blog was informative and powerful! Use the gist of its content again in other ways. This is called re-purposing content, and it's pivotal in driving a content strategy that engages your buyer persona, builds brand awareness, and sparks potential patients' interest. Re-runs aren't just for TV! 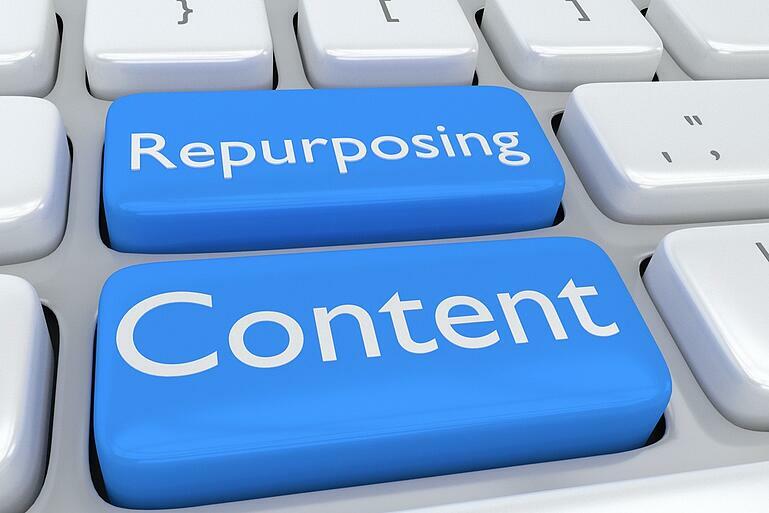 Repurpose content to take advantage of multiple benefits. We know you believe us, but we are going to make our case anyway. #1: Expands your reach. You may enjoy a huge blog following and get tons of hits, but chances are, you are still missing potential patients if this is the only content you distribute. To make content marketing in Alaska work, you need to offer the information in ways besides words.Some people are visual learners, while others have attention spans of a two-year-old, while still others want to listen to information instead of view it. By re-inventing your pieces of content, you have a greater chance of reaching and connecting with all of these people, regardless of their learning styles. #2: Allows for targeting to specific buying stages. The type of content a prospect wants and needs depends on where she is in the buyer's journey. Consumers at the beginning of the decision process in their Zero Moment of Truth (ZMOT) need top of the funnel, broad content. Someone who has advanced to the consideration stage benefits from more in-depth information like white papers or eBooks. When you repurpose content, it's easier to make certain there is quality, helpful content for prospects throughout the sales funnel. #3: Strengthens your brand. You may remember the specific message from past Presidential campaigns. The reason is that the candidates state it in interviews, speeches, and debates. Content marketing works the same way. Marketers sometimes shy away from re-purposing content because they don't want to seem redundant, but that's not the case! If a potential patient is searching for information on a topic, and sees you have shared multiple articles, videos, and infographics about the topic, you are automatically perceived as an expert on the subject. When you re-purpose content, it elevates your brand and makes your message stronger than only distributing it one way. Blog posts are not the only way to reach your audience and establish yourself as a local influencer. After you have written and promoted a brilliant post, take the time to repurpose content into nine more forms for maximum effect. Your Alaska prospects can benefit from a white paper on a certain treatment or procedure because of the nature of the piece. White papers usually contain statistics, facts, and figures that back up the information. Simply take the original blog post, add in some specific research and numbers, and hire a graphic designer to format it into a white paper. These are compelling tools to use during the consideration and decision stages. Grab that trusty graphic designer and work together to create a dynamic eBook out of your blog post. Add some Key Takeaways for the opening, break the content into small sections, choose relevant graphics, and voila! a visually appealing eBook is born. Don't forget a killer call-to-action at the end of your eBooks to help drive the buyer's journey. Give those visual learners a little more eye-candy by putting your information into a SlideShare format. Break up each blog point into a small chunk and add it to a slide. Brevity is key here. You will undoubtedly have many prospects who would never read an entire blog devour a well-laid out SlideShare. Be sure to tag relevant keywords before you publish it for greater findability! Almost everyone enjoys good checklists. They create an authentic, interactive experience with the reader. Re-purpose content that was popular by creating a checklist point for every point your made in your post. Change the title around for a fresh take. For example, if the original post was "Recovering from A Knee Replacement: the First 30 Days" a checklist title could be "Your Complete Checklist to Recover from A Knee Replacement". Ditch written words all together with a 1-2 minute video, using your original blog as a "script". Upload it to social media video sites like YouTube and Vimeo, and add it to your website for easy viewing. The social media giant began offering this mode of communication in 2016, and it has exploded with success. Split your blog post into short talking points, plan out when you want to go live, promote the event, and video yourself in real-time. Your audience can like, comment, and share the video afterwards, as it's archived on Facebook. This is a great way to set yourself apart from other healthcare providers in Alaska. Marry words and pictures with entertaining infographics. They are one of the most popular modes of content to share on social media. Break the original post into bits of information, and add numbers and statistics where possible. Ask your graphic designer to create a visual format for the information. Make sure it reflects your brand appropriately. Promote it across your social media channels, and you will reach more potential patients than you ever thought possible. Some consumers prefer to get information while they are working out, driving to work, doing housework, or performing other activities where reading or looking at pictures isn't an option. This buyer loves podcasts. Hire a professional to record you reading your blog post, and turn it into a podcast. Add a short introduction and powerful conclusion with a call-to action. Once its ready, upload it to podcast sites for your Alaska audience's listening pleasure. When a buyer enters the decision stage, jumping on a webinar is a great way for them to finalize their decision. Webinars are interactive and engaging for the attendees. You as the host benefit as well because the attendees register with their personal information, so you can set up future direct marketing initiatives and special offers. A blog post can easily become the topic for a thirty minute webinar that will increase your standing as an expert and gain a host of interested prospects. If you decide to repurpose some of your high performing content into one of the above nine forms, here are three tools to you can't afford to operate without. Scheduling your content in a calendar helps you dole it out to your targeted audience consistently and strategically. Set up a blog on a topic one month, an infographic the next, and a SlideShare the next. A plan like this can end up getting confusing, especially if you blog twice a week as recommended, so a content calendar is absolutely necessary to stay on track. You MUST know and understand your preferred buyer, what they need, and which pain points they are trying to address. Creating content that helps you hit your goals demands that you keep your buyer in mind, or you're bound to miss the mark. Think about your buyer persona throughout your content creation in all its forms. Targeted keywords used in multiple pieces of content assist with your SEO and helps buyers searching for your services find you. Maintain a list of frequent keywords, including long-tail keywords, that drill down to the essence of your healthcare organization, and hit upon your buyer's pain points. These should be used, not excessively, but strategically throughout your content re-purposing efforts. Content creation takes effort and scheduling, but the sweet spot is to hit upon a system where you are able to create some new content as well as re-purpose content that has performed well in the past. Embracing different forms of content helps boost your exposure, increase your reach, and instill consumer confidence in you as the industry expert. 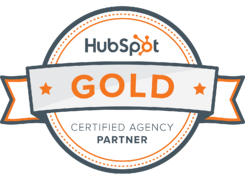 All of these help you reach the goal of more patients and higher revenue. If you are interested in learning more about how we can help you create content that resinates with your medical practice in Alaska, call us directly at (907) 602-3438 today. inboundMed and its staff has been helping other healthcare and medical practices in the state of Alaska for more than 5 years now!